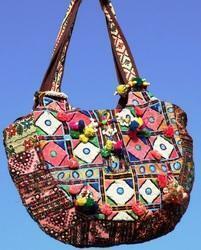 Our range of products include embroidery patchwork banjara bag, leather banjara doctor bag, antique banjara boho bag, banjara leather college bag, bird print kantha bag and ethnic banjara leather bag. 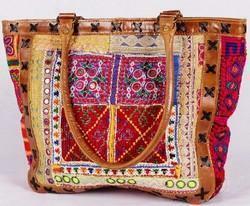 Vishal handicraft is provided a unique and high range of Embroidery Patchwork Banjara Bag. 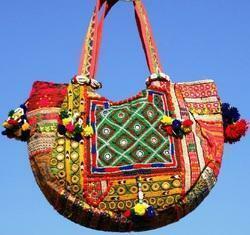 We are the leading manufacturer and supplier of banjara bags in whole jaipur and rajasthan. 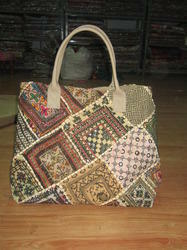 Its product is make in own design in our company. 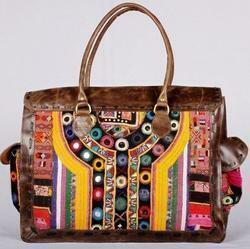 we are making in finished goods in ethnic world. We recognized in 2004 based in jaipur rajasthan. Our quality and finishing is best. Our motive is client satisfaction and also our. we never deals in against component and our self respect. 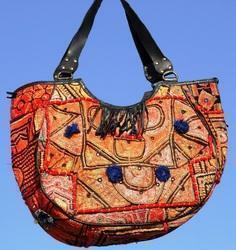 Bird Print Kantha Bag are made of patchwork antique hand-embroidered cotton textiles, with mirror and beaded tassel, old coin en hatch the beauty of this bag these bags comprised of beautiful antique textiles from Gujarat and Rajasthan. The fabrics are patch worked together especially for us and decorated with burnished coins and charms by talented artisans. This is suitable enough to fit your daily essentials, this bag is dazzling alternative to an everyday bag or with heels and statement jewellery in the evening for a laid back but chic evening look. 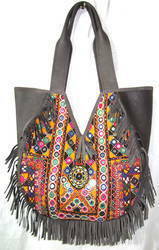 This bag is very useful for collage, office and traditional wear and Unique fashion for you. 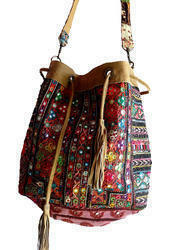 As there is good color combination it can perfect with any outfit this bag is very nicely made and in a good quality of mirror & tassels work but the bags are made from old patches so some defects are normally comes. It adds to the beauty of this bag. 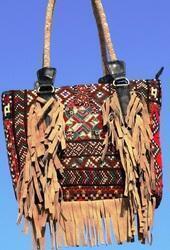 We are looking for export inquiries from Japan, Australia etc. 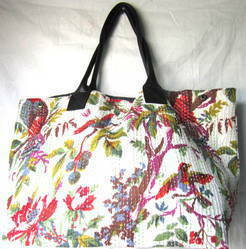 A unit where the buyer found a high quality fashion style vintage bag. 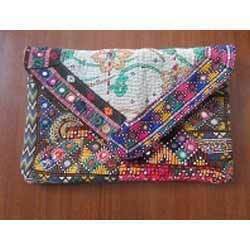 We are the leading manufacturer and supplier of Vintage Clutch Bag. 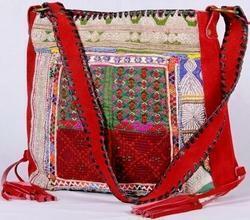 Vishal handicraft is a respected name in market. Our buyer is always satisfied with our work.